Gurgaon is a beautiful city and a part of the National Capital Region that is going through constant development in all sectors. Today, Gurgaon is one of the biggest financial and IT hub in the country that has a lot to offer its inhabitants. The real estate industry in Gurgaon has come a long way over the past couple of years with a number of residential as well as commercial projects in multiple locations. Without a doubt, competition between real estate companies has grown massively today. 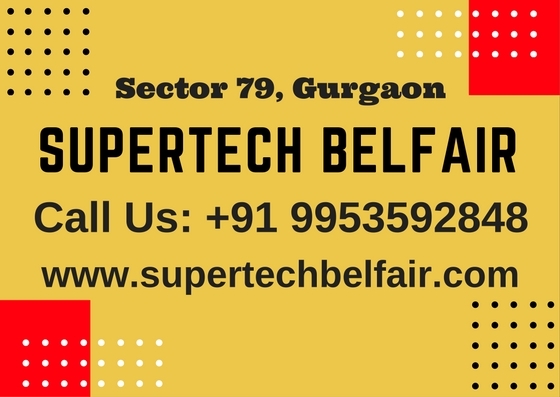 Supertech Belfair is one of the latest projects by Supertech Limited that offers a lifestyle of pure luxury and comfort. Extended across 6.50 acres, this development contains beautiful structures that offer vibrant variants of 1BHK and 2BHK apartments that are designed to perfection. The apartment area sizes start at 625 sq. ft. and go up to 1020 sq. ft., providing ample luxury space that will satisfy you. 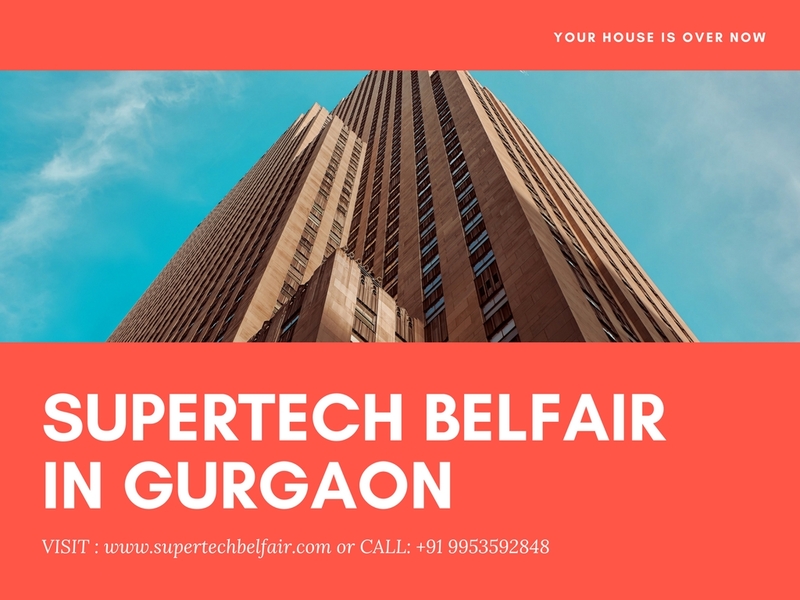 Supertech Belfair Gurgaon is a distinct development that is filled with an excellent package of internal and external luxuries and comforts for a modern-day lifestyle like no other. You will find spacious apartments with vitrified flooring, anti-skid flooring in utility areas and bathrooms, internal doors that are hardwood framed, huge decorative main doors, UPVC windows, elegant kitchens with several provisions and more. The external amenities at this development are world-class and will always keep you fit, entertained and happy every day. The external amenities at this development include a 9-hole golf course, multiple sports facilities and a play-zone for your kids, jogging track, gym, swimming pool, café, clubhouse, party lawn, gorgeous landscape garden, open space, well-planned car parking facility, high-end security with video surveillance. Located at Sector 79, Gurgaon, this development has plenty of everyday and emergency locations in its proximity. You can conveniently access places like schools, universities, malls, shopping centres, banks, ATMs, hospitals, medical centres, cinemas, restaurants, cafes, all kinds of public transport and a lot more without any hassles. 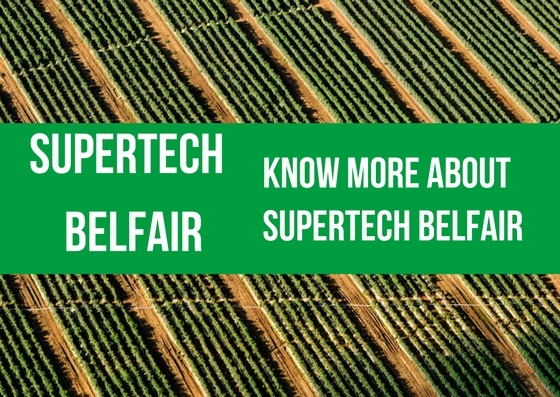 The Supertech Belfair price is overwhelming and totally unbelievable for one simple reason, it is truly affordable and worth a purchase. Starting at a brilliant price of Rs.26.71 lakh and moving up to Rs.43.60 lakh, the apartments at this development are worth every rupee spent and there is no doubt about that. You can choose from different payment plans according to your convenience and also opt for easy home loans at low interest rates.